In fact, wheat and grains may just be unsuitable for almost everyone. I think this article (The Dark Side Of Wheat) was the beginning of the end of eating wheat for us – the one that knocked us off the fence. 1) Wheat has at least 3 main “questionable” components for which there has been *a lot* of research. WGA lectins (wheat germ agglutinin), gluten, and anti-nutrients – phytates. b) Gluten – It’ NOT just NOT for celiacs. Very good details here. c) Phytates – An “anti-nutrient” is a substance that, when ingested, actually binds-up and makes unavailable to your body certain nutrients and minerals otherwise helpful and needed. Too much/too regular eating of anti-nutrients can start to cause deficiencies both by blocking their absorption from the food you eat but also strip away from your body what is there already. Good explanations of phytates here and (focus on soy but good phytates explanation). Please Note: the Weston Price article is a very good explanation of phytic acid, but we have our strong concerns as to the actual reduction in phytates and gluten due to the sourdough process – there seems to be an almost total lack of research to determine the actual reduction of these nasties with souring. If any has such studies – we’d appreciate hearing from you! 2) Some years ago as I learned the dangers of seed oils, the idea that held the most sway over my discontinuing their use was simple (more detail on oils in our post here). Seeds have evolved defense mechanisms to keep from being eaten and/or more likely, to NOT be digested if eaten so the seed passes through the animal intact ready to germinate, thus perpetuating the plant. Squeezing seeds for oil (or grinding them for flour) in no way removes these very anti-digestive compounds, enzymes and anti-nutrients. If a predator keeps eating these compounds, they will get sick and die – leaving no offspring to again eat those seeds. Pretty nifty defense – huh? 3) Grains simply are NOT the wholesome high nutrient foodstuff that we’ve been pitched that they are – they are relatively low as compared to animal products and other vegetables. Some very detailed insights here and here. 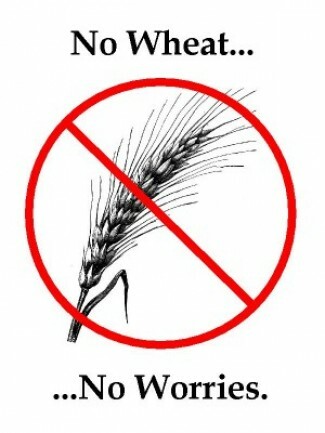 4) Modern strains of wheat – The problems here are that the older strains of wheat, einkorn/spelt/emmer, have faded in exchange for literally thousands of “new” forms bred for a variety of disease resistance, growth attributes and virtually no concern for their respective contents of the above explained problem substances. The result is that all modern wheat is much higher in these nasties – some good blog from a doctor on this here (scroll down for several discussions). 5) Nasty hi-carb foodstuff – grain flours dangerous trashing of your insulin, resulting in reduced insulin sensitivity (a bad thing) and low and behold – obesity. Here is Gary Taubes on YouTube – the latest researcher to get a pretty good handle on why we get fat (and diabetes 1 & 2, and and and…). 6) Our daughter Lola’s teeth (and ours as well…)- see our post on this grain-based/phytate/based decay problem here. 7) And last but hardly least, Denise Minger, the rising star of nutritional study analysis and sensible, intelligent explanations exposes the real conclusions that infamous Dr. Colin Campbell so ineptly missed in his The China Study data book and analysis – Wheat is Murder? There are 2 grains we still eat in moderation – both have been studied and the literature is moderately convincing that neither of these 2 are seriously unhealthy – but not THAT healthy either – just nice as meal compliments from time to time – Rice (white – the brown has lots more nasties cause it has the husks) and buckwheat (not technically a grain but rather a grain-like fruit and with not many nasties). That about sealed the issue for us – but – as we said earlier – a nice slice of bread would be a pleasure if we could see that the traditional souring process really did hugely reduce/remove phytates, gluten and WGA – if anyone has that scientific study data – please share with us here!! … on the other hand – bread is lots easier to give up than you think. USEFUL GOODS/PRODUCTS RELATED TO THIS POST THAT WE STAND BEHIND: gluten free flours, gluten free recipe books, books on losing weight with proven lo-carb diets, paleo diet books, paleo diet (lo carb) snacks. We appreciate if you will click-through here to our Amazon Store so we may get affiliate credit for your purchases. THANKS for your support. Do you have wheat/grain related problem stories of interest? Very interesting blog! I added you to my blog roll. Great topics done with much research and thought. Thanks for visiting my blog. I have a question for you…. I know what you feel about seed oils, how about nut oils?? oh yea – the nutty ones – well – there’s plenty of opinions regarding the unfavorable PUFA content of numerous nut oils – and in a general sense – nuts and seeds are in the same pod (or shell? bad joke…) things like peanut oil are, of course, from a legume and paleo-wise a no-no – but seeing that nuts carry the same bad phytate karma as seeds, i think the issues are not too different. There is also the problem of rancidity – the inherent instability of many of these oils at room temp. I have personally never been much interested in walnut, hazelnut or almond oil – so that’s why my blog missed commenting on them – just never been biggies for me. I used to keep a small bottle of sesame seed oil cause i liked the taste – but i never used it fast enough to beat it becoming rancid. Another issue for any seed or nut oil is that the amount of oil you would use frying, say , potatoes is the oil squeezed from a whole lotta nuts – more than one would eat comfortably in a sitting – so the concentrations of the nasties is going to be alot higher per serving for nut/seed oils than for nuts or seeds eaten alone. Part of accepting this diet/eating style for me is acknowledging that i will probably never get the perfect mix of foods and also knowing that i will probably want to sometimes eat ones that i know are NOT appropriate (i can give up bread but i just gotta have a a bowl of potato chips – cooked in crappy oil i a sure – a couple times a month…) – so if it’s not all that important to me – like nut oils – i just scratch them from my list. Thanks for stopping by – we’re just settling on our final wordpress theme choice (we don’t like the one you saw) and will build our links page – and you’ll be there! 2) Title: Gluten Causes Gastrointestinal Symptoms in Subjects Without Celiac Disease: A Double-Blind Randomized Placebo-Controlled Trial. 6) The presence of gluten sensitivity by blood test is about 12% in the general population.